Hard to top the nonstop, night after night great gigs of last week, firing up jazz on all cylinders for a promising fall. But here comes another week. Helping with the ongoing fund raising for Kyber Pass Cafe, the Dave King Trucking Company performs there Friday night (9/30) and then returns to the AQ on Saturday night (10/1), pared down to one sax this weekend, but the one sax is Brandon Wozniak. Who could ask for anything more? 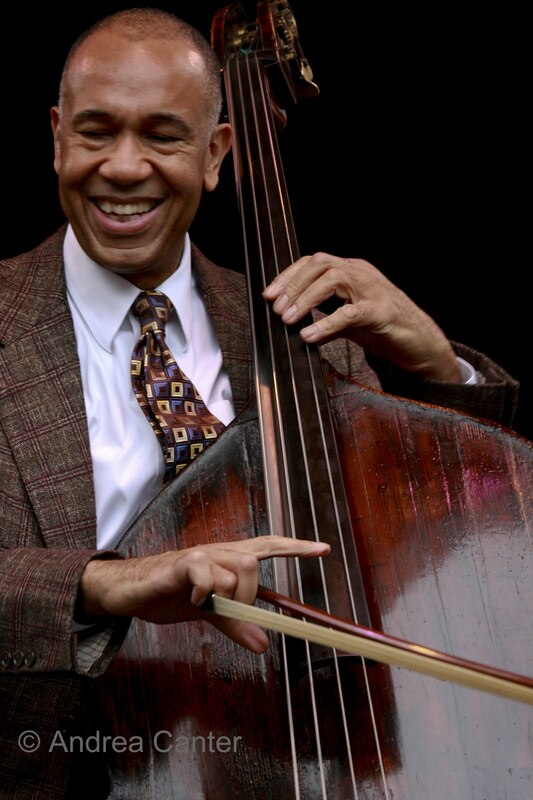 The best big band in the area, JazzMN Orchestra launches its new season Saturday night (10/1) with one of the best bassists in the universe, John Clayton. More often associated with his Clayton-Hamilton Orchestra and Clayton Brothers ensemble, this will be a rare treat to hear John as a featured soloist and arranger. Judi Donaghy provides the local vocal. 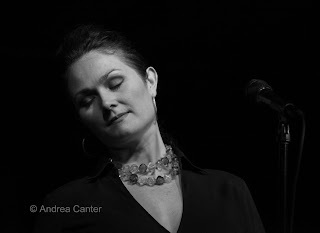 Another local vocal, Connie Evingson, performs not to far away at the same time, with the hot club swinging John Jorgenson Quintet at the Hopkins Center for the Arts. This collaboration has been on the Dakota stage, and guitarist Jorgenson has shared the stage with Elton John, Sting, Billy Joel and… Pavorotti? Want more Connie? Her monthly Jazz in the Lounge at the Minneapolis Woman’s Club returns on Wednesday (10/5), this time a duo with piano monster Tanner Taylor. Easy to do a double header on Sunday (10/2), with a matinee at the Bloomington Center for the Arts presenting “Swing Set,” Lee Engele with “the Andrews Sisters”—Aimee Fischer, Kathy Mueller and Lisa Pallen. The gals recall the great songs of the 40s when swing was truly the thing. Four great voices for a Sunday afternoon. 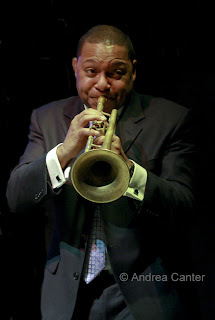 At Orchestra Hall in the evening, it’s a return engagement with the Jazz at Lincoln Center Orchestra directed by Wynton Marsalis, who is celebrating the big 5-0 on this tour. One of the very best big bands in modern jazz. It might be a stretch to do a triple on Sunday, but if you are a fan of jazz guitar, Charlie Hunter shows how it’s done at the Dakota with sets at 7 and 9. And who knows, some famous trumpeter might just come down the street and sit in on the end of the late show…it would not be the first time. Monday (10/3) marks the beginning of Arne Fogel's new 13-week radio series on KBEM, Minnesota Voices: Certain Standards, airing twice each Monday through Friday at 8:30 am and 6:30 pm, and featuring top local (or formerly local) voices: Connie Evingson (Mondays), Nancy Harms (Tuesdays), Arne Fogel (Wednesdays), Maud Hixson (Thursdays) and Debbie Duncan (Fridays). Each segment is about three minutes, each singer accompanied by Tanner Taylor on piano (except for Maud, who performs with husband Rick Carlson). Read more on Jazz Police. Monday (10/3) marks the first anniversary of Jazz Central, the underground performance and studio space run by Tanner Taylor and Mac Santiago. This is a celebration of survival of an independent venture in a tough economy—and they have pulled it off with at least weekly gigs and jams featuring a wide range of the area’s top and up-and-coming jazz artists. “By the cats, for the cats,” as the website notes. This anniversary party features one of the best in the jazz business, drummer Phil Hey. Tonight he is not a sideman. Come out, help pay the rent and have a blast. One of the area’s most accomplished and enjoyable duos, Charmin (Michelle) and Shapira (Joel) perform twice at Fireside Pizza this week, on Monday (10/3) and Wednesday (10/5), as well as next Saturday (10/8) at the 318 in Wayzata. And in quartet format, they’re on the stage at Hell’s Kitchen on Thursday (10/6). They’ll be doing selections from their two duo recordings as well as some new material. For voice and guitar, this is an unbeatable combination. If you missed Esperanza Spalding’s Chamber Music Society last year at the Dakota, or want another dose, she’s bringing her stellar project to O’Shaughnessy Auditorium on Tuesday (10/4), cosponsored by the Dakota. Since topping Justin Bieber for the Grammy’s Best New Artist, she’s been expanding her audience and turning up in slick magazine ads. Whatever brings jazz more attention! 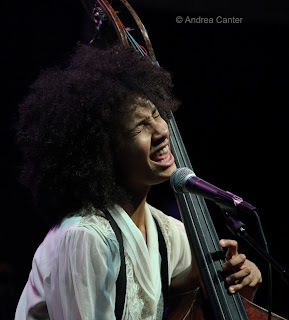 Note she is scheduled to perform with Joe Lovano’s Us Five in Hopkins on October 22nd.